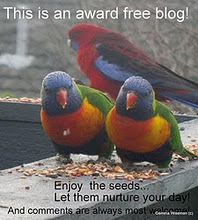 Today’s blog is very short and to the point. I heard this song once and decided to adopt it as my mantra. It says all that I believe and all that I wanted to share with my family, friends and life-coaching clients. I hope you agree. The version of the song that I really like is by Leann Womack. This young, country singer has so much soul in her voice – listen to it here. I just love the words and the symbolism. And how they speak to me and what they say. I used the tag line – “If you get the choice to sit it out or dance; I hope you dance” as the close off in all the newsletters I used to send out to my life coaching clients. I have this phrase as the screen saver on my computer and all the words of the song on the wall of my study. So as you can see I am hooked. Do you have a favorite song that speaks to you the way this one speaks to me? Is it just the song or is the singer important to you and your song? I really would love to hear from some of you. Maybe that way we will all learn some new songs. 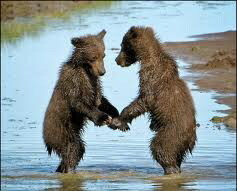 And I should like to thank the person that sent me this image of the dancing bears. I think it just fits here as if it belongs. This entry was posted in Family, Growing Younger, Healthy body healthy mind, Memories, Uncategorized and tagged active body, active mind, dance, Family, give thanks, Gratitude, I hope you dance, Physical exercise. Bookmark the permalink.